I grew up in the heart of the midwest in southeastern Wisconsin. Just a five minute drive from Wilmot Mountain. Wilmot Mountain retains a deep emotional connection to my hometown for me. It was there that my father taught my brother and I the art of skiing. It was there that I was introduced to the craft that would become my career. As a young man I had no idea the places that my skis would take me. I did not even know that it was an option for a lifestyle. Now, flash forward to Moena, Italy many years later, and I am a skilled pro. I had learned to ski big mountain backcountry in Utah while attending college, and was skiing and filming in some of the most remote and dangerous places on earth. In a small italian restaurant on the streets of Moena I was talking with photographer, Joey Wallis. Joey was born and raised in Iowa, and shared the deep respect and love for the midwest that I did. As we gushed about our perspective hometowns we stumbled upon a conversation about skiing backcountry in the midwest. That night Joey and I decided to try to shoot midwest backcountry to show the world that it was not only possible, but fun. Since then Joey and I have embarked on a variety of projects to do just that. 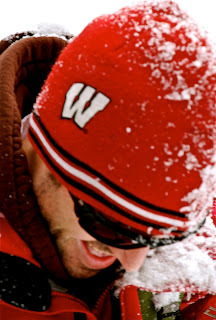 Last winter I was back at home in Wisconsin for a Telemark Skier Magazine movie premiere party at Wilmot Mountain. The area had received more snow then it had in years, and I took advantage of the chance to test some of my theories. I knew there were skiable slopes in the backwoods around my childhood home, and I was determined to test them out. The editor of the magazine at the time, Josh Madsen, was in town with me for the premiere party, and I talked him and my big brother into joining me for an exploration mission. What I found was not what I expected, but exactly what I had hoped for. ^My big brother, Tyler, and I played in these hills throughout our childhood together, but never really looked at them like this before. As Tyler skinned towards me on this trail I was flashing back to visions of him riding his bike on that very same trail in our childhood summers. Back then skiing in these hills was not even on our radar. It was almost like we were rediscovering this area we knew all our lives. This photo was a really cool moment for me. I had never been able to share the backcountry skiing experience that had become so dear to me with anyone from home before. 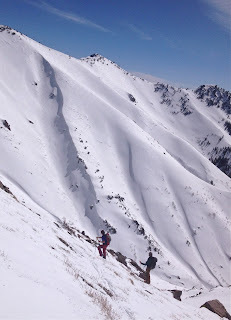 To see my big brother skinning towards me in the natural winter setting was a big deal to me. ^TSM editor, Josh Madsen, must have thought I was a bit crazy for dragging him out into this micro terrain, but I didn't really expect him to understand. However, he appeased my begging and joined in the exploration for backcountry turns in the Dairyland. In this photo he found one. I knew they were there. I just need to find them. ^This is a photo of me finding some more. I was even able to link up a good string of turns on this slope. I don't wish to paint the picture of plentiful backcountry powder turns all over the region, but I do want to show that they do in fact exist. Even in southeastern Wisconsin. 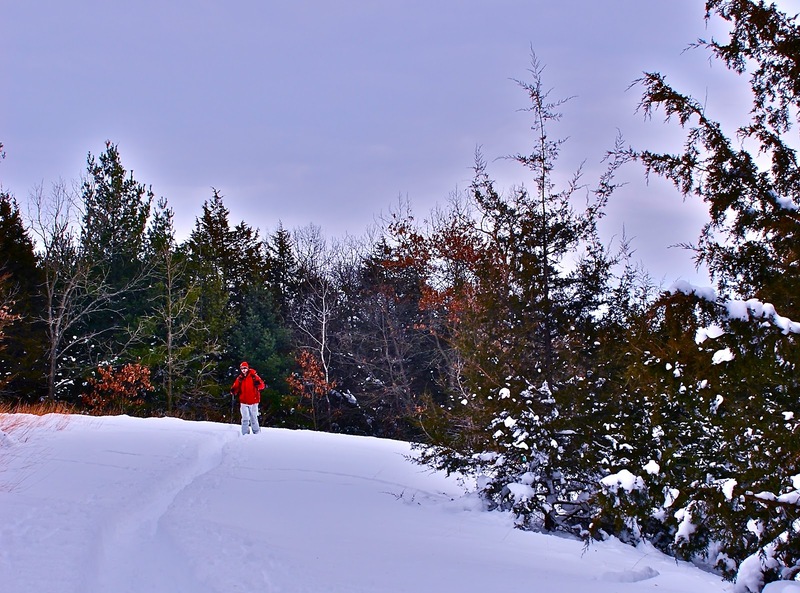 ^There is much more to backcountry skiing then big powder turns on giant western mountain slopes. A big part of the backcountry experience for me is in getting out into the natural world and taking in all the beauty of it with people I care about. 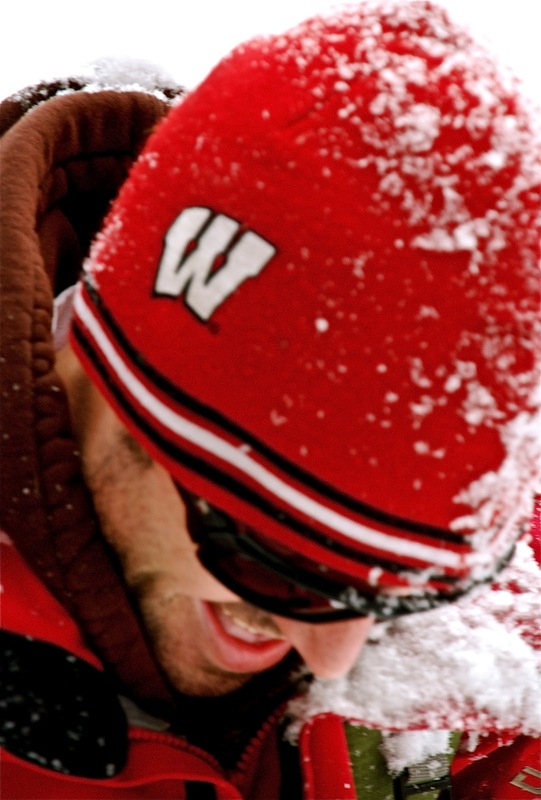 A smile like this on my big brother's snow covered face is worth all the tea in China to me. We may not have made 200 turns through a giant glade, but we did have a memorable day seeking out powder turns the backwoods of Wisconsin. ^The slopes we skied that day were not the heart pounding thrill rides that I take on everyday in my pro pursuits out west. As I said, I didn't find exactly what I was looking for on that exploratory tour that day. I had hoped to find more turns then we found. I had hoped to find cleaner coverage then we found. I had hoped to find more skiable options than we did. However, once I stopped thinking about what I didn't find I realized that I did indeed find something that day. I found that I had a gorgeous winter day touring in the woods with my big brother and an old friend. All the while enjoying the woodland nature and some ski runs. To me, that is the definition of a good day of backcountry skiing. 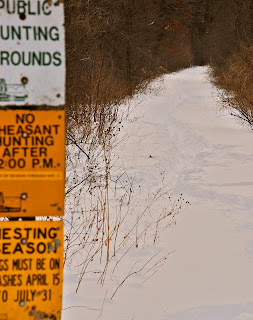 Thus, proving that backcountry skiing in the midwest does exist, and it is fun. I know there is bigger and deeper stuff going on in the midwest then this particular day. I just got back from the U.P. of Michigan, which actually is pretty plentiful most years. Also, Joey did well in the Mississippi river basin around Dubuque and just north last yearl. If your out there finding it, then I'd love to hear about it. I know your doing it, and Joey and I are going to find you one way or another.